The Southeast Delco School District fosters a student-centered learning environment in which students are problem-solvers, informed decision makers, as well as collaborative and cooperative learners. All students have access to powerful technological tools which enable them to make connections between knowledge and understanding. In this stimulating atmosphere, access to information and communication with others is unlimited. This nurturing environment provides a quality education by which all our students can achieve academic excellence. We are seeking a Special Education Teacher for an Emotional Support class at Academy Park High School in the Southeast Delco School District. 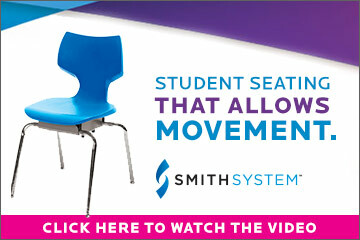 This contracted position will teach emotional support high school students. Block scheduling is used in our high school. This is a challenging assignment so only candidates who truly want to work with emotional support students should apply. The position begins on August 21, 2013. Candidates must hold a valid and active PA certification in Special Education (N-12) and English (7-12). Works collaboratively with parents and fellow educators in nurturing the student to academic and behavioral excellence. Develop IEP's for students who qualify for SPED services and annually update them. Design a program that meets the identified student needs as listed in IEP's. Consult with regular education teachers and other support personnel to ensure that the needs of the students with disabilities are being met in the inclusion classroom. Coordinate required psychological services within the required deadlines. Coordinate related services (speech, OT, etc.) as outlined in student's IEP's. Schedule, attend and lead all IEP and SPED meetings. Prepare required documents and notices for SPED meetings. Continue professional growth through educational meetings, visiting related facilities, reading professional literature, and exchanging ideas among the teachers and staff. Assist RTI staff in the pre-identification process. Use appropriate formative assessment instruments pertinent to instructional areas to assess on-going student progress and maintain required assessment documentation. Maintain a positive environment conducive to effective learning. Provide varied instructional techniques and technology through individual and/or group sessions designed to meet the educational, social and emotional needs of the students. Assist in the selection of books, equipment and other materials for SPED students. Effectively utilize interns and community partners to enhance instruction. Coordinate with other support staff (Gifted, SEI, RtI, Tutors, and Mentors) to maximize student learning. Establish and maintaining cooperative relations with other employees. Assist in providing information to community groups and parents concerning special education programs as requested. Work to establish and maintain open lines of communication with students and their parents concerning the academic and behavioral progress of all assigned students. Ensure that each student in the program has required evaluation records in his/her permanent SPED folder. Maintain individual student special education files in compliance with federal and state regulations. Quarterly evaluate student progress on IEP goals and report to parents and teachers. Assure that all students with disabling conditions receive the accommodations listed in IEP's to successfully participate in classroom instruction and assessments. 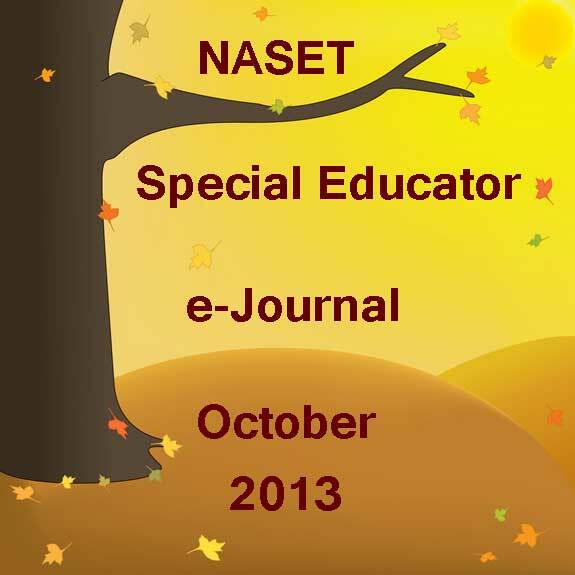 Complete the Annual SPED Data Collection Report for students with disabilities. Assist the Leadership Team in all activities that relate to SPED monitoring. Complete all required surveys in a timely manner. Bachelor degree and certification in special education, Current Arizona Security Clearance Card, hold and maintain current CPR and first aid certification. UNO's educational philosophy is grounded in the principle that the key to student success is the powerful presence of adults in each child's life. Our organization believes in a call to service and a call for service, the type of service that reflects pride, passion, and respect. Because of this, UNO aims to recruit only the most talented, dedicated, and visionary professionals that are capable of creating and cultivating genuine relationships with our key stakeholders; students, parents, and the community. UNO educators believe in not only establishing the highest expectations for our students, but also taking on the critical responsibility to ensure they are met. To reach this end, we employ strategic evaluative techniques to assess student learning and use this data to drive instructional decision-making. Furthermore, we utilize a variety of instructional methods and interventions in order to ensure that all students achieve mastery of both skills and content knowledge across the curriculum. UNO educators have urgency for student growth and achievement and rely on our innovation to ensure all students meet the rigorous individual goals set for them. We are results-oriented and regard student learning as the measure of effectiveness of our teaching. Ultimately, we know that we are responsible for the academic and personal growth of our students, and we are willing to do whatever it takes to ensure success. UNO teachers are unique in that they realize success is built on relationships. They focus their work on student learning. Furthermore, they whole-heartedly believe that all students can learn and demonstrate that by engaging principles of distributed leadership and distributed counseling. UNO ensures that all staff understands that it is our shared responsibility to develop our students, both personally and academically. Classroom teachers in UNO high schools lead the curriculum, instruction, and assessment for students to which they are assigned. They relentlessly pursue student growth and achievement through diligent planning, careful instructional execution, and on-going collaboration with colleagues and the school leadership team. Agua Fria Union High School District was established in 1955. Today, the district serves the communities of Litchfield, Goodyear, Avondale, Buckeye and part of Glendale with its four high schools. Come be a part of our district, we offer competitive salaries, eligible for health benefits and additional compensation. Visit our website to view our job openings. 1. A valid Arizona teaching certificate for the position to which the individual is assigned. 2. A valid DPS Fingerprint Clearance Card. 3. Must possess either a Provisional SEI endorsement, a full ESL endorsement, or a full Bilingual endorsement. 4. Must be highly qualified in the core content for the position to which the individual is assigned. Eligible for Additional Compensation for High Needs Position. The Fletcher Academy: A School of Achievement was founded in 1981 by Dr. Leon Silber as the first school in North Carolina dedicated solely to students with learning differences. For the past decade, under the excellent leadership of Ms. Junell Blaylock, Fletcher has thrived as a local resource and a national leader in helping exceptional children discover their unique minds and styles of learning. With Ms. Blaylock's recent announcement that she will retire in June 2014, Southern Teachers Agency has been retained to conduct the search for Fletcher Academy's next Headmaster. The Headmaster will inherit a unique and effective program, a committed and experienced faculty, and a dedicated board that fully supports Fletcher's mission as an unparalleled, comprehensive private school for students with attention and learning challenges. The new Headmaster will be expected to learn and sustain the Fletcher approach, to continue recruiting and supporting outstanding teachers and staff, to assess needs and provide tools for 21st century learning, and to preserve and enhance the school's very caring, nurturing environment. As prospective leaders of a closely-knit community, candidates must be approachable, attentive, and clearly committed to students with learning differences. The Headmaster must be organized and creative, knowledgeable about special education, and authentic. Most important, he or she must lead with love, compassion, and a profound desire to help all at Fletcher achieve their very best. Salary and benefits for this position are above the national median for schools of this type. This position begins in July 2014. For the full position profile, please visitwww.SouthernTeachers.com.